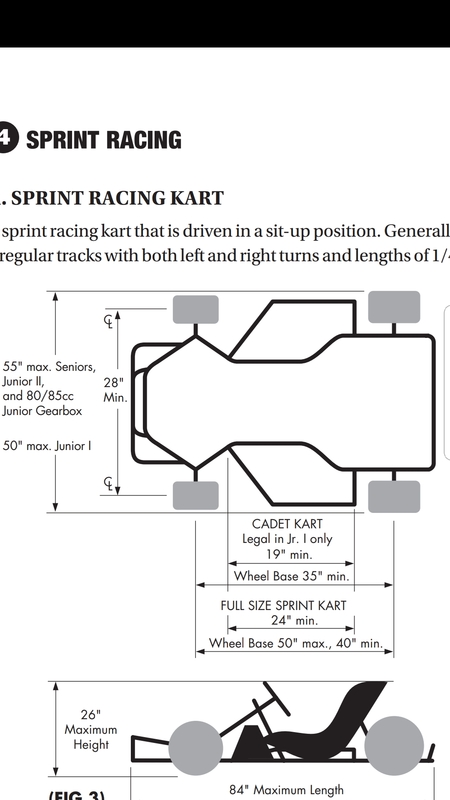 When you guys measure track width are you measuring from the edge of the contact patch or the edge of the tire? Whats the best way to do this by yourself? Pretty sure ive been doing this wrong for years. I measure from wheel rim to wheel rim through the axle when measuring the rear, and I measure the front using the spacers that I have. 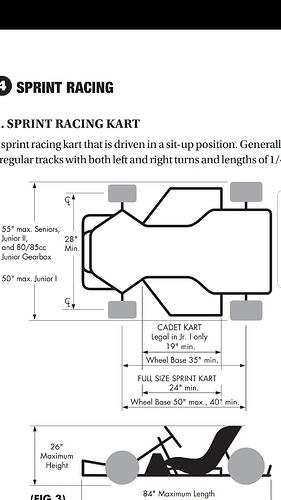 This is from CES rules of track width for sprint chassis specs. the opposite tire when both tires are of identical width. perpendicular to the longitudinal centerline axis. Guess it depends on what the measurement is being used for. Is it for your own log book info? Is it to meet tech per class and rules you are running? Though it’s easier, if not more accurate, to take the measurement with another set of hands, if by yourself, you could use a folding measuring stick run through the axle, bent at the beginning so that it catches the opposite side.